ᴴᴰ Feux d'artifice Montréal 2012 - Best of Japon ... L'International des Feux Loto-Québec - Montreal Fireworks ... Montréal 2012 - Japan (Feuerwerk, fireworks)"
祈りと鎮魂 2011大曲の花火-大会提供花火「奥州曙光」fireworks Requiem tsunami earthquake. 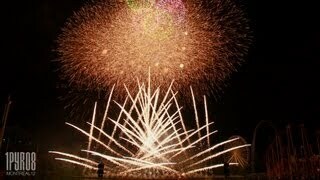 ᴴᴰ Shell tests up to 260mm/10"
Japan Fireworks | Awesome shell! Akagawa fireworks festival.